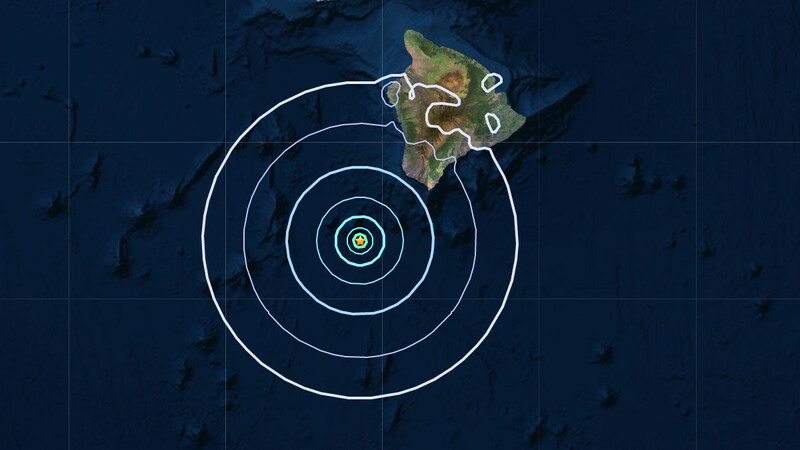 HAWAII ISLAND - The earthquake occurred at 9:07 a.m. on Thursday morning, emergency officials report. (BIVN) – A Magnitude 4.6 earthquake, located nearly 50 Miles offshore of Hawaii to the south southwest, did not generate a tsunami, emergency officials say, although Island residents may have have experienced some shaking. The Pacific Tsunami Warning Center issued the statement at 9:15 a.m. The earthquake was recorded at 9:07 a.m. The U.S. Geological Survey’s Hawaiian Volcano Observatory (HVO) recorded an offshore magnitude-4.6 earthquake southwest the Island of Hawai‘i on Thursday, February 7, at 9:07 a.m., HST. The earthquake was centered about 84 km (52 miles) southwest of Ka Lae (South Point) at a depth of 27 km (17 mi). A map showing its location is posted on the HVO website. The depth, location, and recorded seismic waves of the earthquake suggest a source due to bending of the oceanic plate from the weight of the Hawaiian island chain, a common source for earthquakes in this area. Aftershocks are possible and could be felt.